The S&P 500 traded sideways this week and currently resides ~ 200 points above the Meridian. 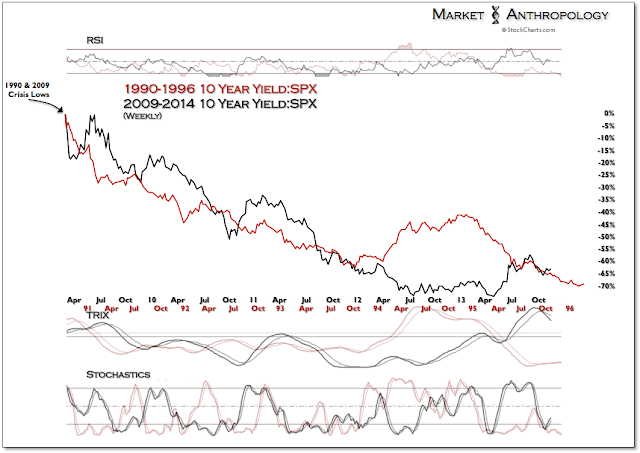 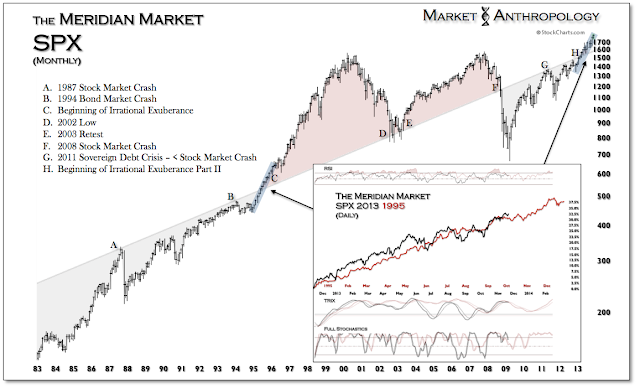 The market continues to follow the 1995 breakout trajectory we have been contrasting throughout the year. 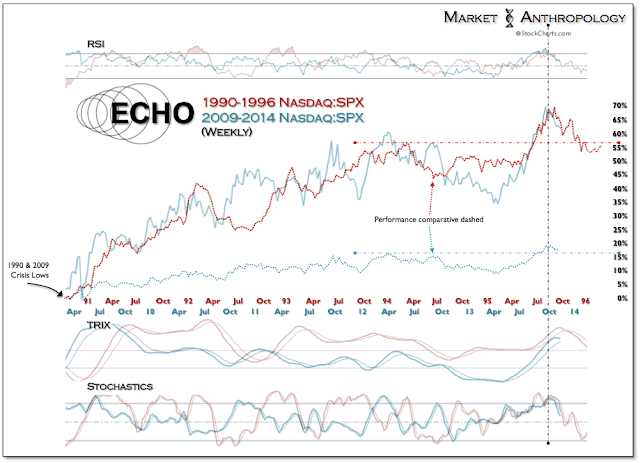 While we expect the overall trend to continue, we suspect that the broader market will have some trouble maintaining positive inertia next week and could be susceptible to falling back below the 95' benchmark. 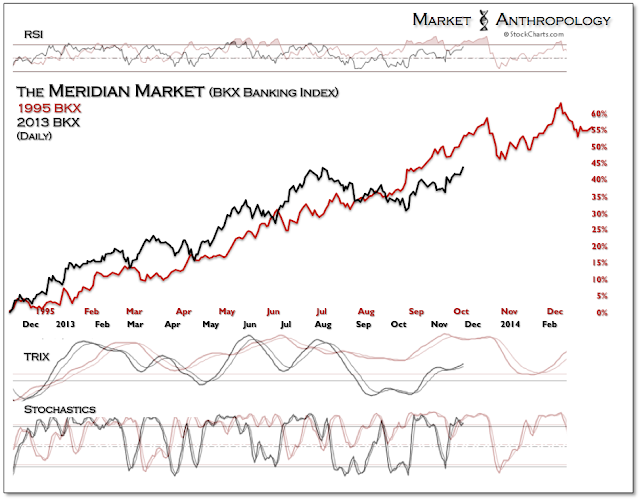 The financial sector had a very strong showing this week. 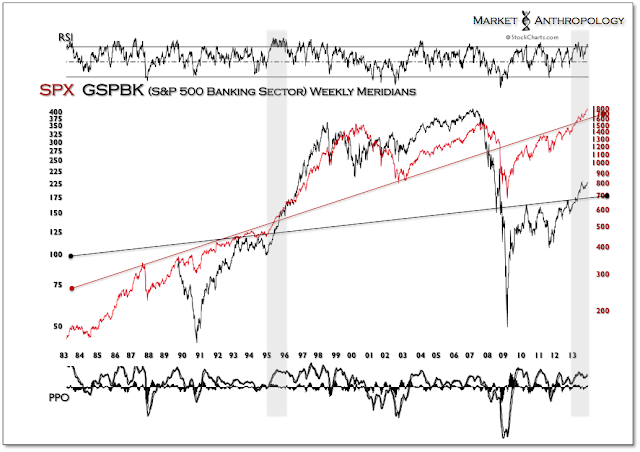 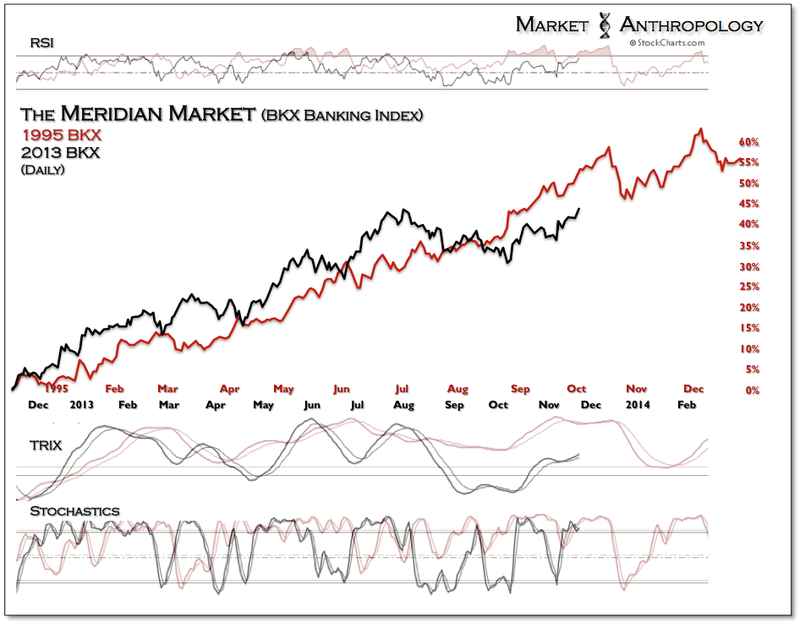 We continue to favor the banks relative to the broader market. 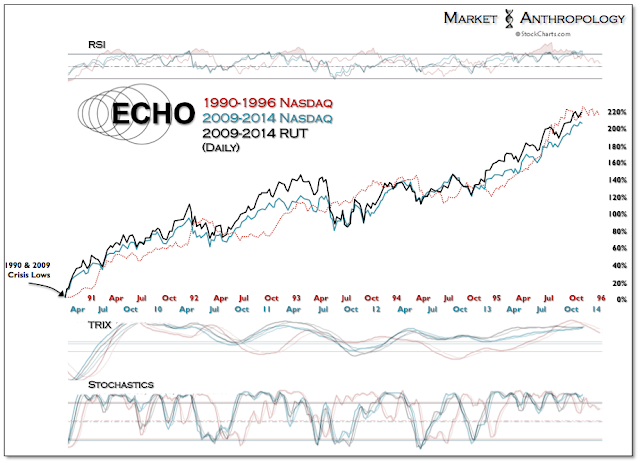 The Nasdaq also traded sideways this week and should keep working off the build in outperformance that began in Q2. 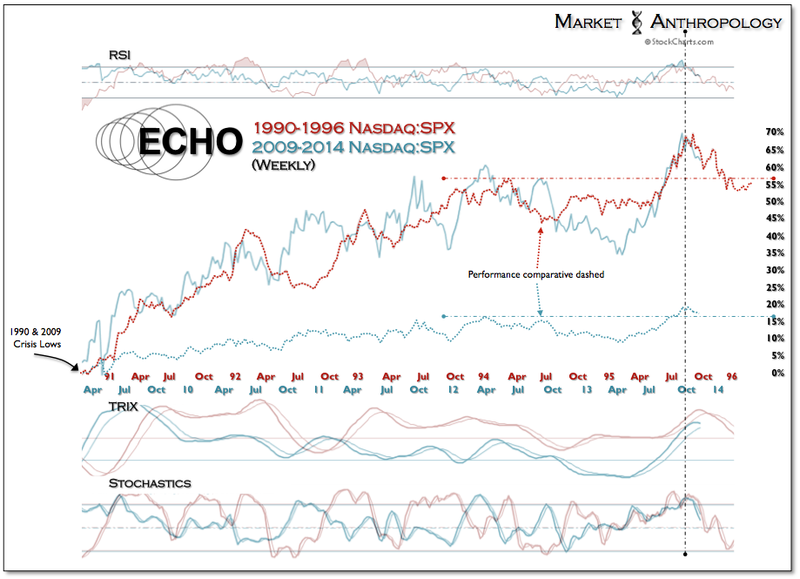 With the chorus of bubble prognosticators cautioning and demagoguing their respective interests from the cheap seats of the pundit-sphere, small-cap stocks continue to most closely follow in the Nasdaq's footprints of the previous cycle. 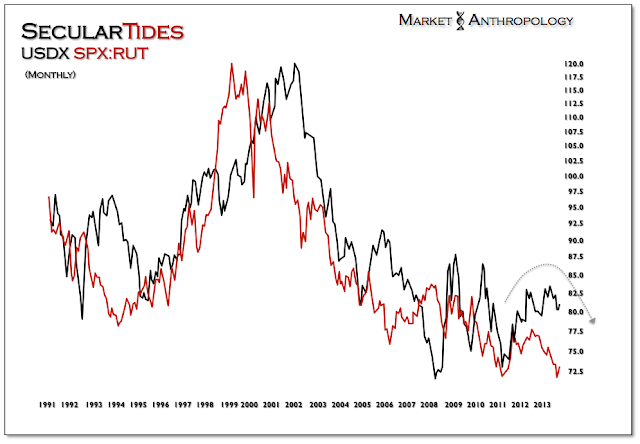 It may behoove them to realize that although the concept of a bubble is a relative expression, this one may have a ways to go. Lest we forget, by a comparative perspective Greenspan didn't coin the phrase, "Irrational Exuberance" for over another year in December 1996. 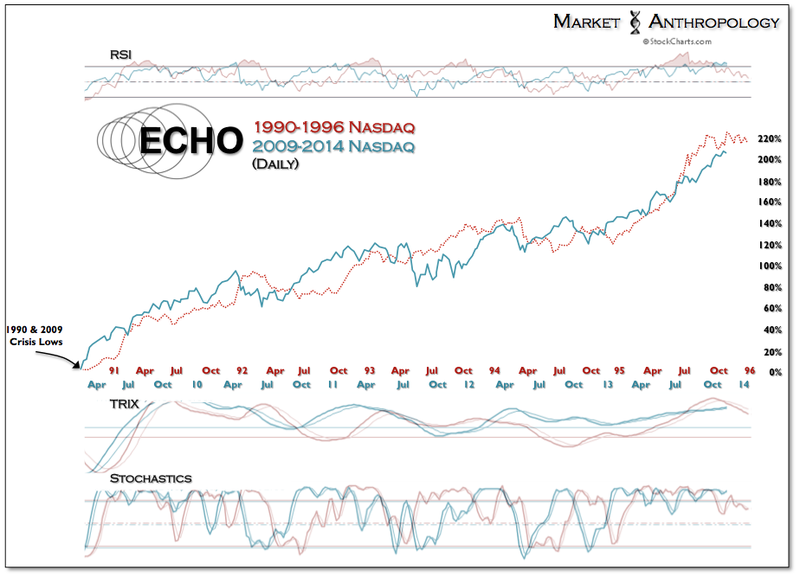 By that time the Nasdaq had risen ~ 285% above the October 1990 crisis low. 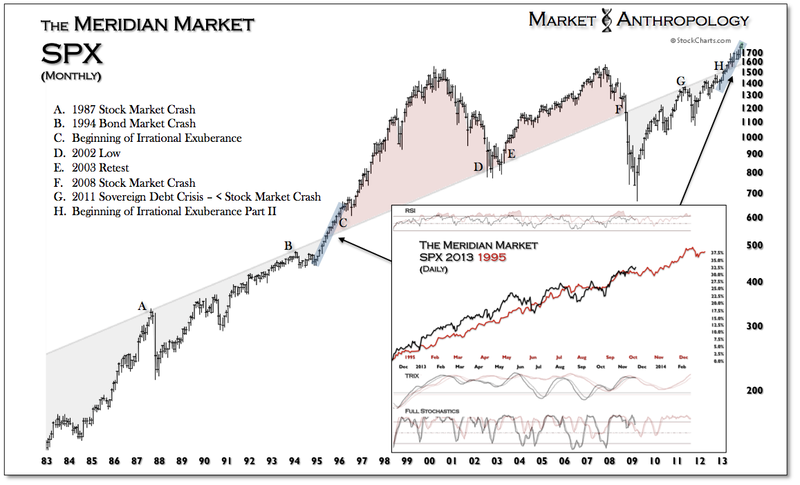 Of course, the real parabolic swell didn't materialize until after the LTCM crisis in the fall of 1998. At it's zenith in March 2000, the Nasdaq was over 1400% above the 1990 crisis low. 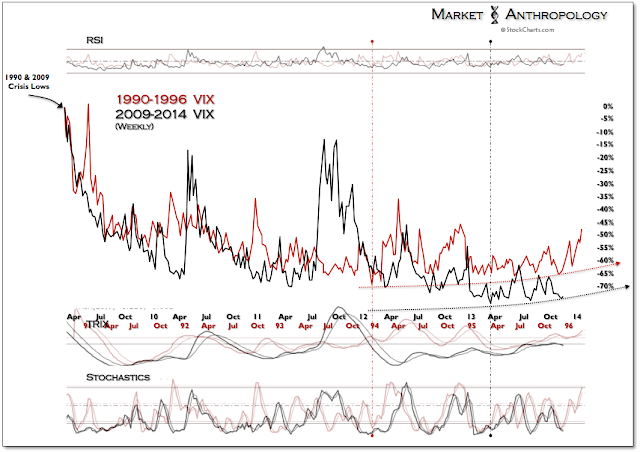 The VIX appears to have found a floor last week as we expect volatility to increase as the market makes its way into December. From a tactical short-term perspective we favor bonds relative to the SPX here and continue to like the 10 year Treasury note.